I recline here, with my six month old miracle balanced on my lap, leaning into my breast. His rosy cheeks and sparkly eyes put butterflies in my stomach. Wearing nothing but a brown cloth diaper and an amber necklace, there he is, my precious little cherub. I stare at the dimpled elbows and soft skin he presses up against me. I hear crickets and the sound of a spring breeze fading into background noise as his lips and tongue make tiny noises of contentment and joy. A quiet moment in the midst of a loud and busy life. Laundry, dishes, meal planning, specific educating of ever expanding minds & quickly forming worldviews… these things melt to the periphery as I embrace the quiet delight of pudgy baby hands and full-throttle snuggling. Simeon James had a Half Birthday! Halfway to that first birthday milestone… how can it be?! I’m head over heels in love with this delicious little bundle. This five month old boy is sweet and delicious. I can’t get enough of him! Yesterday was Palm Sunday. We were given little crosses made out of palm fronds at church. The liturgy was different. The vestment colors were different. 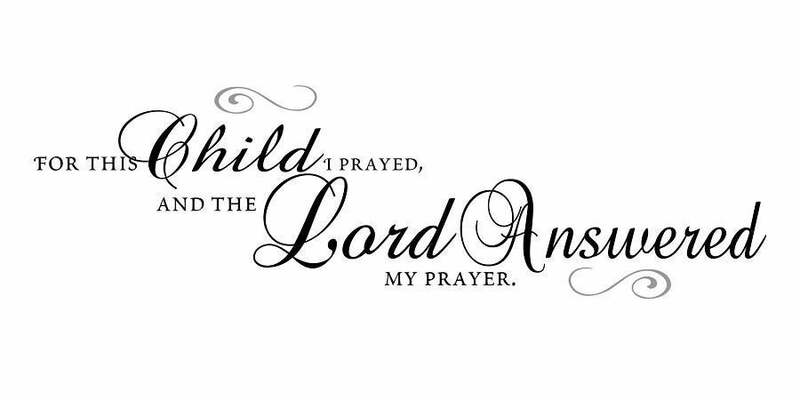 And as I dealt with a 3 year old who threw up all over her church dress and her carseat… and as I bounced a fussy, overtired little 4 month old… I was happily comforted in the reminders that my Jesus, my King, is Lord over all things ~ both small and great. He came in lowly ways. He ministered in the daily things. He came to save. So today, I am sharing with you something I wrote that day; last year on Palm Sunday. It’s as true today as it was 366 days ago. Hallelujah! Hosanna in the highest! 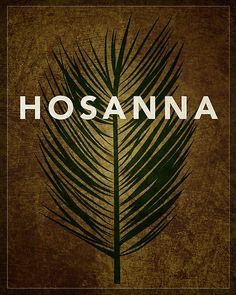 Today was Palm Sunday—a day full of good reminders of our King who reigns, of His lowly entry and faithful rule, of how we as His people can & should cry out to Him, hosanna! Save us now, Lord, we pray! 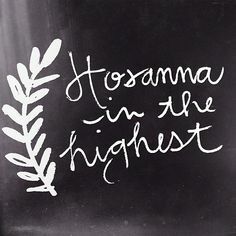 One of my sons in heaven is named Hosanna, and I love the excuse to say his name. When I do, I am crying to the only One who can save to the uttermost. This morning’s church service, as we visited a church we love a couple hours away, began with the choir, pastors, and dozens of children processing through the sanctuary with palms in their hands while we all sang to the Lord of His glory and honor, lauding Him with our praise. We cried out to Him beseeching Him to save us! And since we are on the other side of the story, we know with confidence that He is the Savior! He has saved us! He didtriumphantly bear our sins and conquer death, saving us from the holds of those shackles! Amen! But we are still in the midst of the story. This morning I felt painfully, acutely aware that the story continues. Suffering everywhere I looked. Sometimes already redeemed. Sometimes not yet. It is hard to wait for the redemption, and wonder whether we will see it here in this life, or whether we will be yet waiting to see it in the next. And then Pastor Sumpter preached on hope & joy. He said, so much of joy is bound up in hope. I am so afraid to hope and so afraid to be joyful. Even though there is a sliver of me that wants to shout from the rooftops that the Lord has filled my womb—I want to plan and prepare and anticipate and expect an autumn baby—I want to let the kids kiss my tummy and pray aloud all day for the little baby without wincing in my heart of anxiety—I want to talk about baby names for this little person, to embrace this pregnancy rather than moment by moment telling myself not to get attached. Today we heard an exhortation to ignore the voices in our head that shout realism and logic and probabilities. We ought to rather take joy in hoping, and not to grow weary if we have to keep asking. It is exactly realism, logic probabilities, and my own history that causes me to limit my joy and squelch my hope. But we serve the Lord who delights in giving good gifts, who takes pleasure in acting outside the boundaries which people expect of Him, who came in order to redeem the broken places so that our joy could be full and our hope renewed. This hope is not foolish. Hope that is grounded in God’s glory will not put us to shame. He died for me. So that I could have hope. So that I could rejoice. 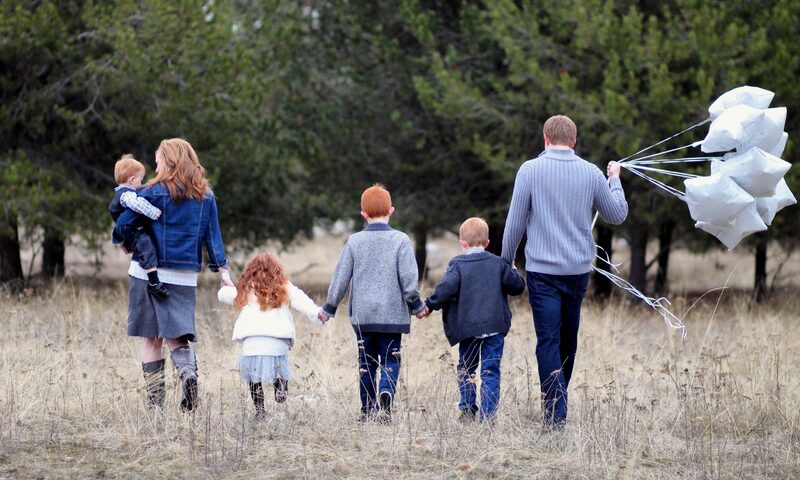 So as I remind myself of these things this week, walking toward Easter as well as taking daily steps further and further into my pregnancy, I will remember the joy and the hope along with the suffering and the grief. It’s the dichotomy of living the Christian life. May He give us the strength and peace to glorify Him this week through all of this. I want to hope with unabashed, reckless abandon. I want to have incalculable, irrepressible joy. Four months ago, I first laid eyes on this precious boy. In that amount of time, he has basically doubled in size, and quadrupled our joy. His golden hair, blueberry eyes, dimpled hands, and contagious cheer has each of us continually mesmerized. We are fully in love.